Adorable soft toy waiting to be cuddled! 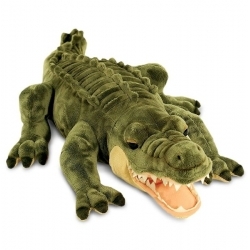 A lovely high quality soft toy Aligator from Keel Toys. Keel have beautifully captured the adorable character of the lovable Crocodile. A very realistic green crocodile with long tail and "sharp" teeth.